Stuart Bowen, head inspector for the U.S. office overseeing Iraq’s reconstruction after the initial U.S. invasion of Iraq in 2003, stated that as much as $8 billion U.S. dollars has been stolen outright and will most likely never be accounted for. It is among so many other aspects of the Iraq War (2003-2011) that has made the whole affair a real debacle for the United States. Out of a total aid package of $61 billion spent on aid for Iraq, $8 billion of it is outright missing and believed to have been stolen. About $53 billion was spent mostly for security and military projects in Iraq, and the rest was supposed to have gone to civilian projects to try and stabilize the country. That part of the money is gone, and virtually none of the projects started have ever been finished. Not the prison that was never wanted and never finished. Not the replacing of Iraq’s water and sewage system. Not providing money for USAID projects for poor and needy families. And not for projects to rebuild the electrical infrastructure of the nation. What Bowen found was waste and abuse on such a scale that literally millions of dollars in cash were simply pilfered by those who were supposed to have distributed the money. Because there was no one who would hold those accountable for the money being spent, too many individuals got greedy and took the cash. 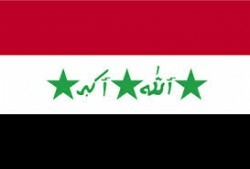 Over 104 individuals were indicted for the money stolen, and 82 were convicted for stealing the funds meant for the reconstruction of Iraq. So what does this mean? It means three very important and very sad things. First, the U.S. government did not give ample thought about what to do for Iraq after the initial invasion. Second, it did not oversee the money that was being spent for the reconstruction of Iraq. Finally, in my view, the loss of billions was one of the reasons why the U.S. debacle in Iraq has proven so bad and is one of the reasons for the Great Recession of 2008. Since the U.S. government did not account for so much money missing, this was one more snowball among many that ballooned into a giant snowball that hit the American economy. Stuart Bowen has stated we should learn a lesson from what the U.S. did wrong in Iraq. In my view, we should have learned from all the stupid mistakes this country has committed going all the way back to the Vietnam War.